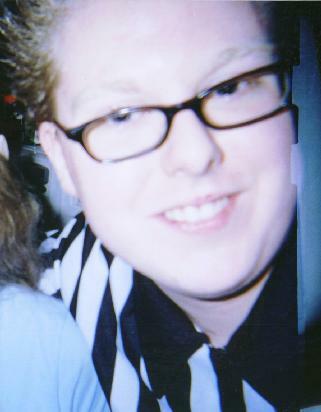 SwankiVYPics: February 2004, Visit with Dieter! 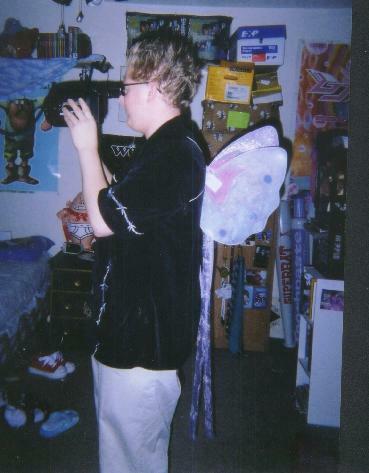 My pictures from Dieter's visit in February 2004! d1.jpg: Look, it's my friend Dieter. He's in my house! Look! It's proof! What a cool guy. 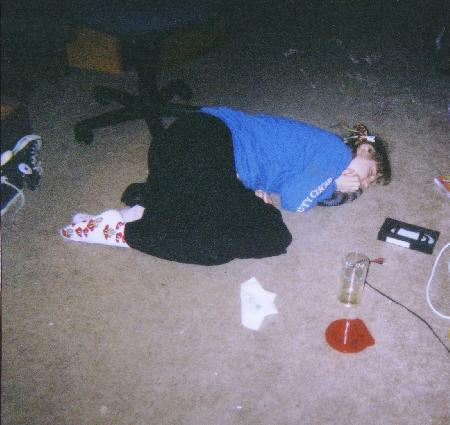 d2.jpg: I was supposed to be in this picture, but it didn't quite work out. 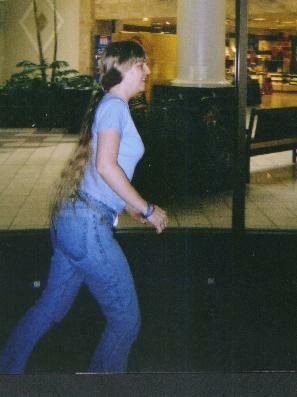 lickloly.jpg: We went to the mall for fun. 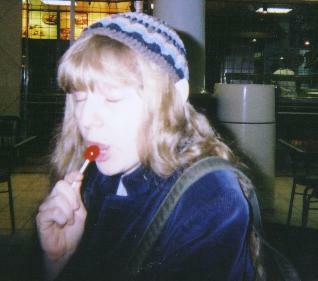 I was kind of being disturbing with my lollipop. 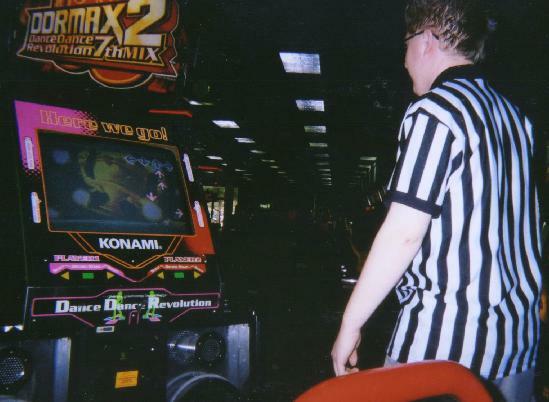 dddr.jpg: Dieter played DDR in the arcade. vddr.jpg: I played too, it was fun. 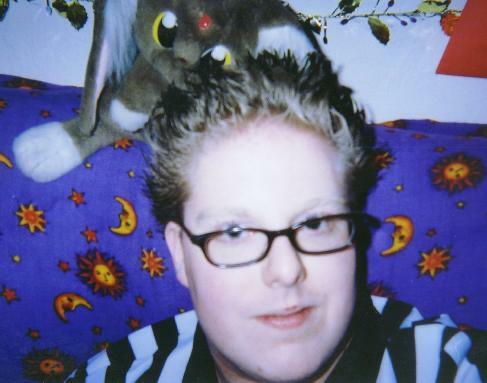 But I kinda look like a dork here. 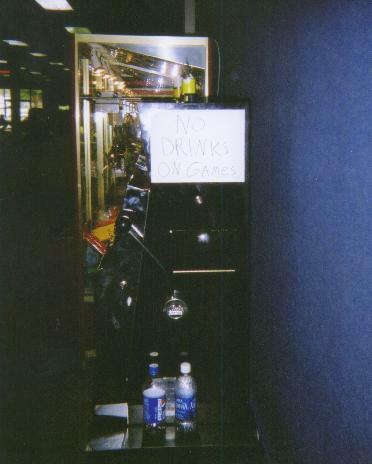 nodrinks.jpg: You can't really read this sign in my scan, but there's a sign here that says "No Drinks On The Machines," right above where those drinks are. 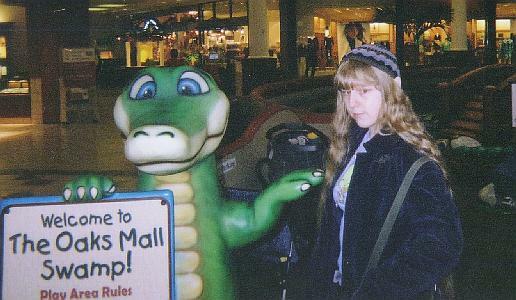 vgator.jpg: I was posing with this gator. Cute eh? 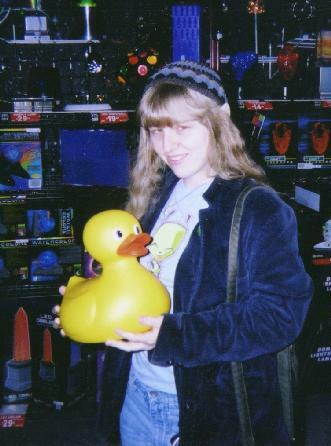 evilduck.jpg: I look evil and I'm holding a duck, in Spencer's. curly.jpg: I curled up lookin' tired. 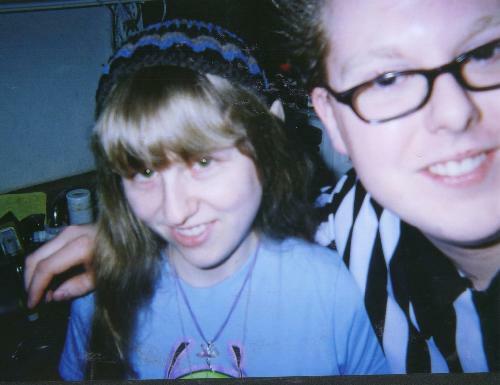 buddyref.jpg: Here's when he tried to take our picture together--both of our faces were actually in it, so I guess he did a good job here! 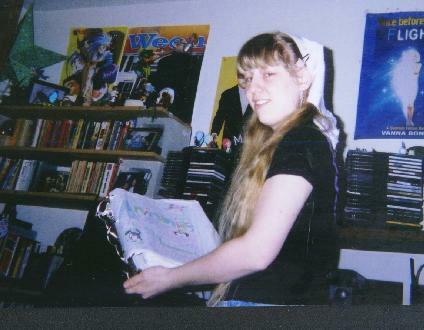 manibook.jpg: For some reason Dieter really wanted a picture of me with my Animaniacs notebook I wrote when I was in high school. It's kind of huge. 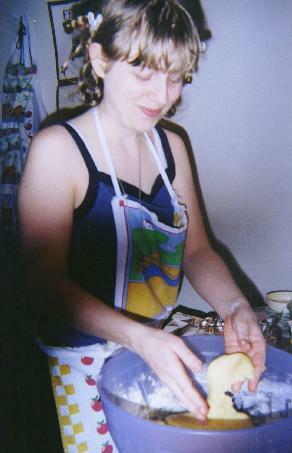 rosey.jpg: I was making 1610 Rose Cakes for Valentine's Day. That's me with my batter. 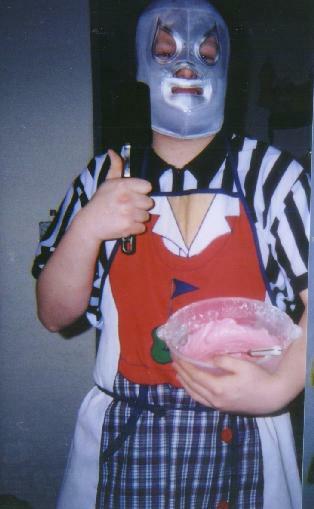 lucha.jpg: Sometimes Dieter likes to put on a wrestling mask and a girly apron and bake some cookies.